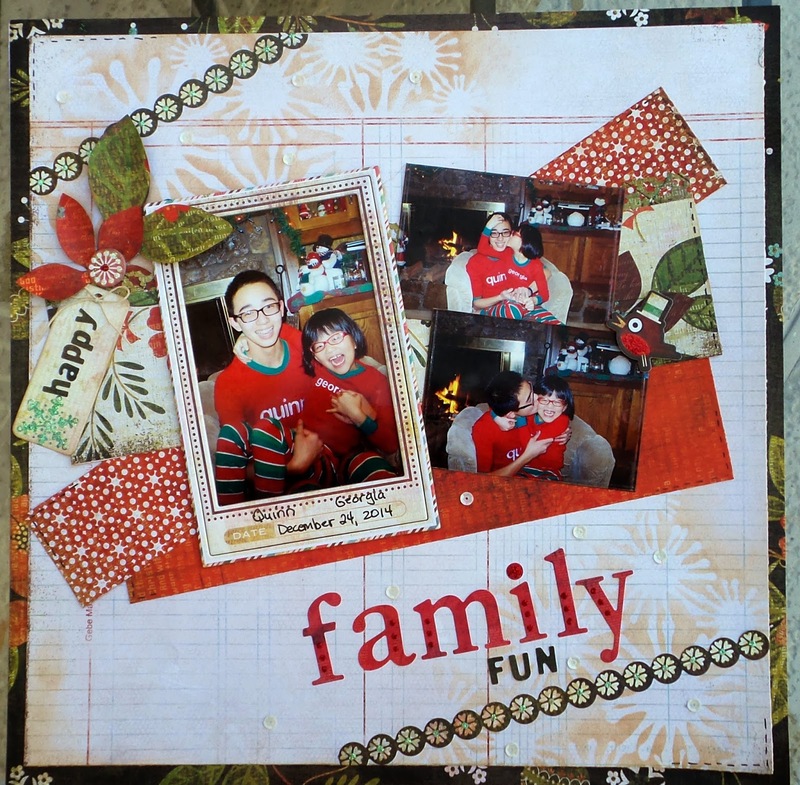 Here is a layout I made using some of the fun photos I took on Christmas eve. These are two of my kids. And they have a close relationship. I used a fun stencil I bought in Oklahoma and I fussy cut the flower and leaves out of my patterned paper. This a an older paper pack I had in Oklahoma. Just wanted to share... Until next time...happy scrapping! this just now showed up in my feed. I love it!!!! Glad I got to see it! miss you!